"Ang hindi lumingon sa pinanggalingan ay hindi makakarating sa paroroonan (To foretell the destiny of the nation, it is necessary to open the book that tells of her past)"
On the whole month of May, free admission to the public for all in celebration of National Heritage Month. The theme for this year's celebration is "Pamilya para sa Pamana (Families for Heritage)," so why not bring your family and friends to the National Museum in Manila and its regional branches (Vigan, Kiangan, Kabayan, Angono-Binangonan Petroglyphs, Tabaco, Bohol, and Butuan). Opens daily from 1000H to 1700H Tuesday to Sunday (except Mondays and holidays). Wearing ballcap, flash/commercial photography, videography and monopod/tripod are NOT PERMITTED inside the museum. Basic photography coming from mobile phone/digicam/DSLR is PERMITTED. 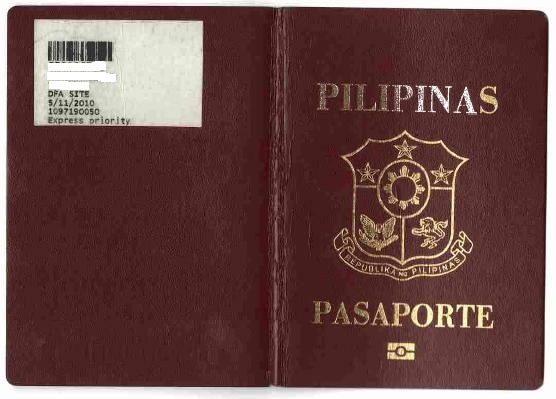 Admission is free to the public (Filipinos and foreigners) starting July 01, 2016. From LRT1 line, the nearest is UN Avenue station. For vehicles coming from Quiapo, museum building is located right after the Lagusnilad. 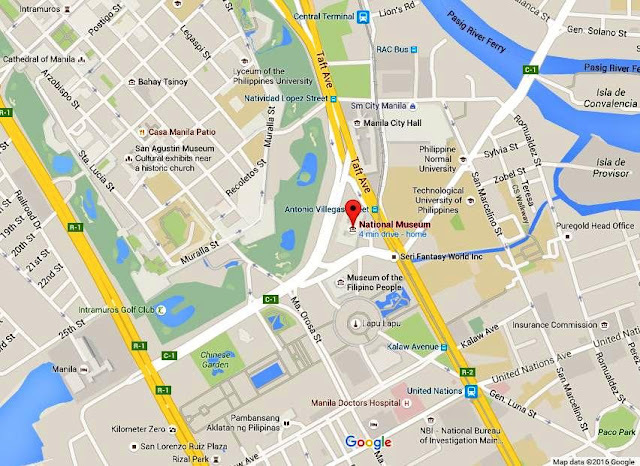 For vehicles coming from EDSA/Baclaran, museum building is a walking distance near Rizal Park. 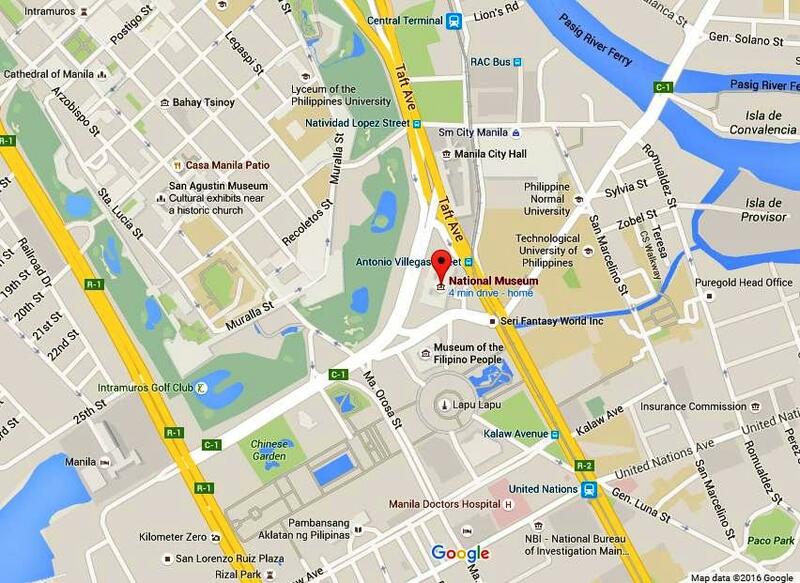 National Museum address is P. Burgos Drive, Rizal Park, Manila. National Museum of the Philippines (Pambansang Museo ng Pilipinas) was founded in 1901 and will be a three building museum complex which will include the National Art Gallery (former Senate Building), Museum of the Filipino People (former Department of Finance) and the Museum of Nature (former Department of Tourism) which is on-going construction. I'm proud to say that the nation's priceless artifacts are well-presented comparable to National Museum of Saudi Arabia, Modern Museum of Egypt, Rijksmuseum of Netherlands, Louvre Museum of France, National Museum of Israel, and National Museum of Iran. You can feel free to read https://buyessayonline.ninja/blog/study-for-exams if you need more helpful articles.